Tonight at dVerse poets is Open link Night #204– hosted by Gayle. 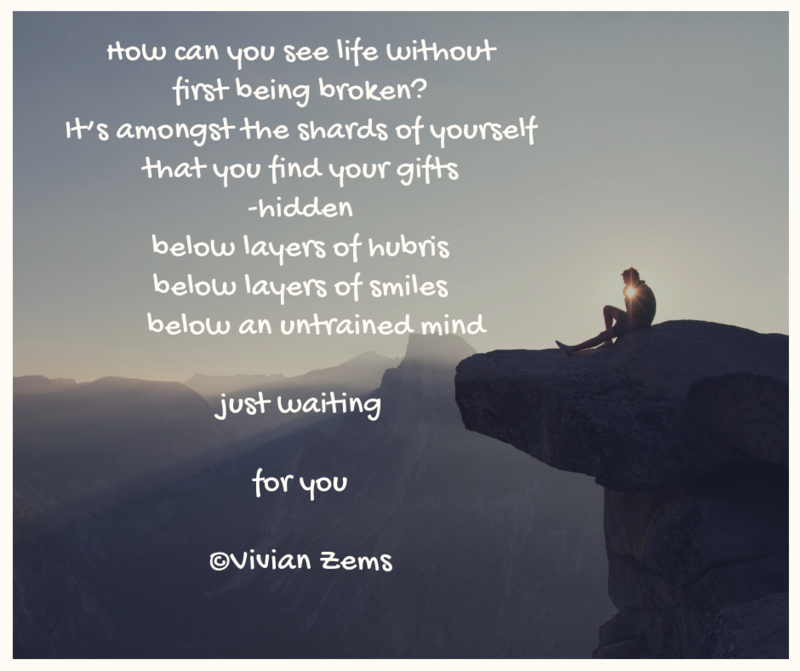 The metaphors in my poem are a reflection of my soul searches…..still searching. 🙂 … always thinking, this is me! 🙂 Nice! Self-realization and soul searching of one’s energy and become connected with life and oneness. This is simplistic in its complexity – more questions than answers when reaching the last line. Wonderful! Sometimes looking back does give us some answers as to what is happening in our current lives. An ongoing soul journey filled with questions…we’re lucky if we find answers to some of them. Nice, Vivian. I like the idea of looking in the past for clues on who one is meant to be. Works every time. Thanks, Frank! In our day to day life, at times we forget exactly who we are and then we really need to do some soul searching. Nice! Can we ever become who we thought we were meant to be? At which point? Great soul search! How else can we reach ourselves without venturing into the past? So well put in so few words! A thoughtful write Vivian. Are you familiar with William Stafford? Thanks, Paul. No, I’ve never heard of him. A writer? Google filling me in….reading up. Thought it might. He is a delightfully observant writer. Some friends sent there daughter off to college with a T-shirt imprinted “Remember Who You Are”. What wonderful advice! Sometimes we lose our footing, and need to return to basics. You’ve said it well. Thank you Bev. That was a lovely thought on the t-shirt. Losing and finding our footing- the dance of life. We all do this, don’t we? Well expressed! Thanks, Sue- love the feedback. If only I could do that. Wishful thinking? I’m sure you do without realising it.